Analyze requirement and identify a list of applications that can be deployed. This probably includes looking into integration and support for wifi enterprise, authentication, vpn, ssl, directory service, exchange, calendar, share point address book etc. At this stage we also need to study and ensure applications and OS feature we plan to use is compatible with our infrastructure; do demo run and ensure end uses can integrate it to their workflow. Find more resources on this from apple. Source hardware. iPAD from apple store? Buy software thought Apple Volume purchase program. So far all reference stays this Volume purchase program is available for US only. 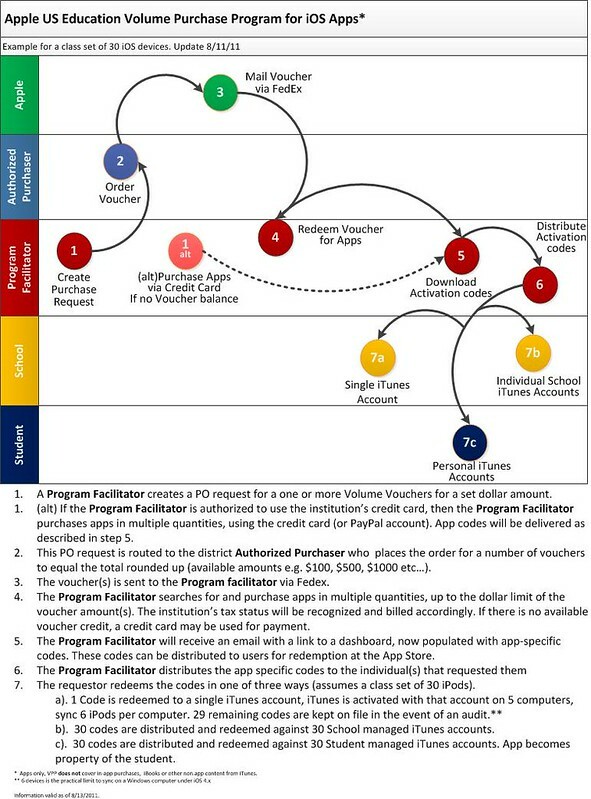 More on how App store Volume purchase program works. Distribute configured devices to the end users. In this stage we also need to explain and train people how to use and integrate the configured device in their daily workflow, how to access support, what and what not to expect from the device. The final step is always to monitor the usage, provide technical support, update and upgrade as required. I pad being a new technology in a corporate world we would always need to take a fresh look of the scope of this device in the corporate world. Deploying and letting real people use it will give us the feedback on how much this can be used and how to improve the workflow.